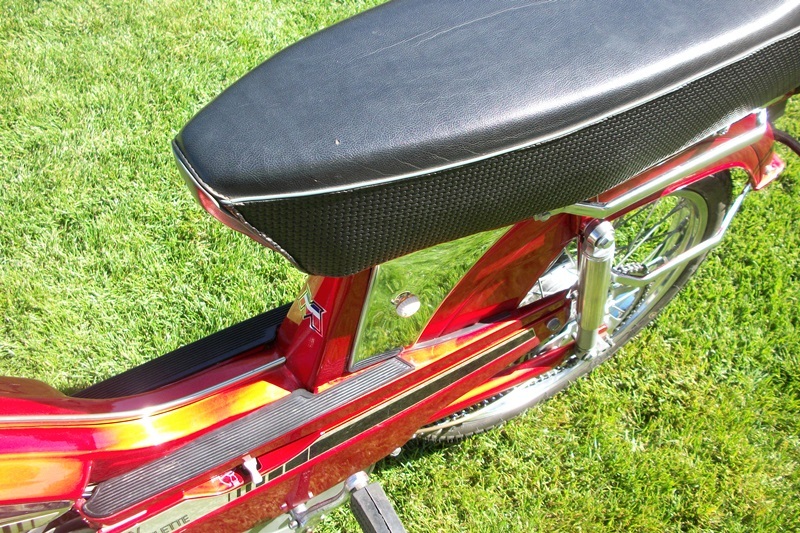 When you see this beautiful bike for the first time, you’ll almost swear that it was just fully restored with new paint, chrome, decals but it wasn’t. 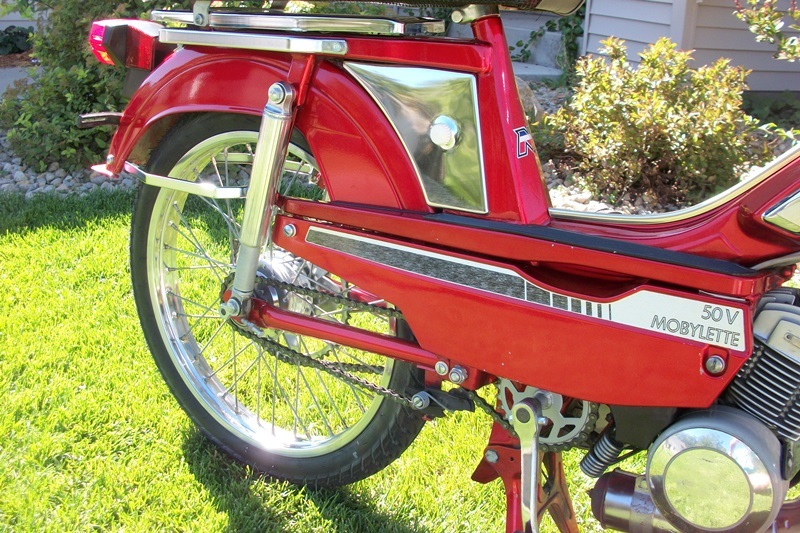 The cosmetics of this 1978 Red Moby are all original. Other than a few minor chips and scratches, it is almost perfect! It even has the original key and working fork lock. The only thing that is nicer than the condition of the chassis is the way the engine runs. It’s smooth and quiet and promises to take you anywhere you want to go. 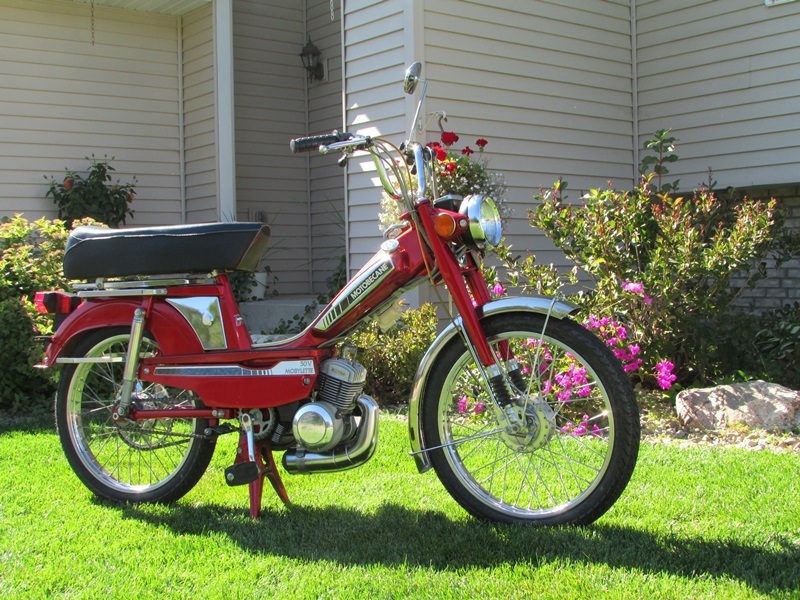 This wonderfully reconditioned moped just received a professionally rebuilt engine and carb, rebuilt wheels, new tires, and much, much more! 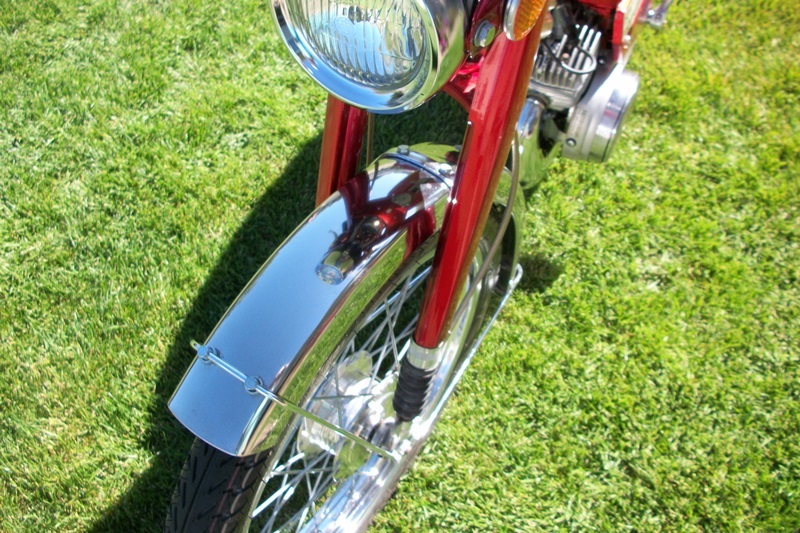 Every moving part was fully serviced and inspected and every painted and chrome part was polished. 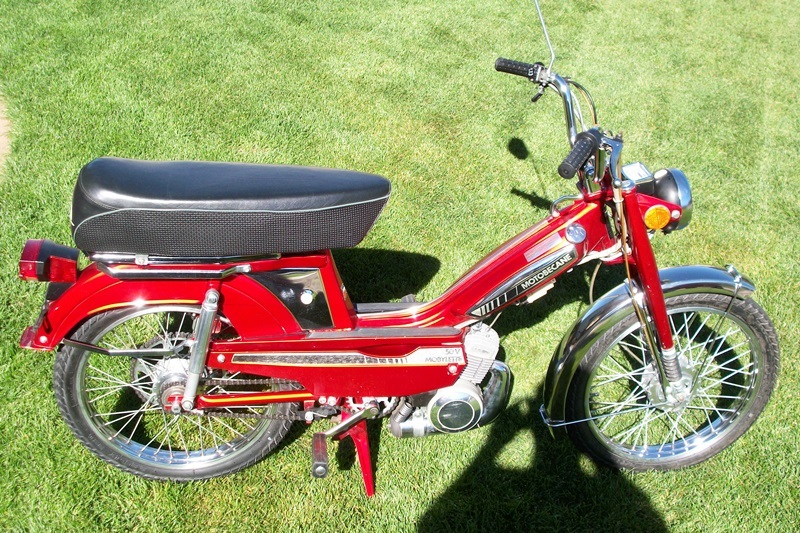 Back in 1978 this moped was purchased new and gently used by the family who only managed to add about 600 miles to the odometer. 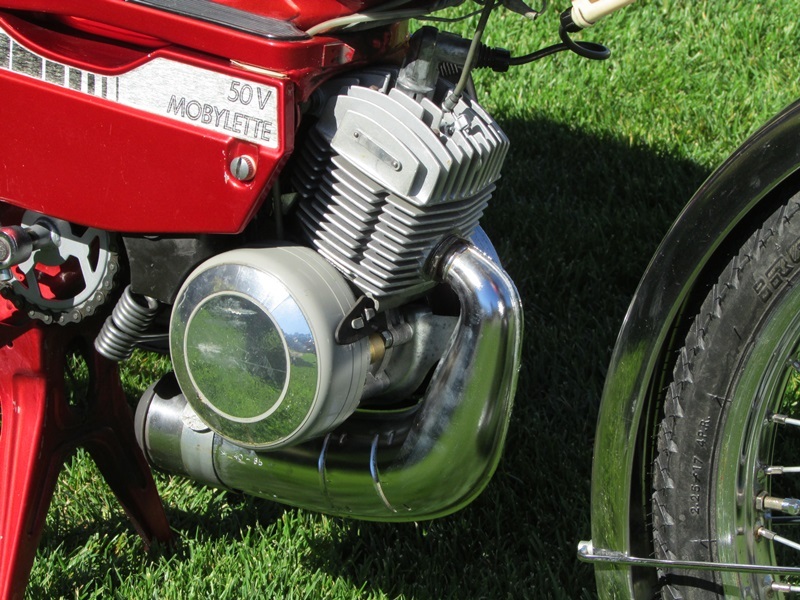 Sometime in the early eighties, there was a mishap with the oil that was supposed to be added to the gas…it wasn’t. That resulted in the engine coming to an abrupt halt and a very sad family. 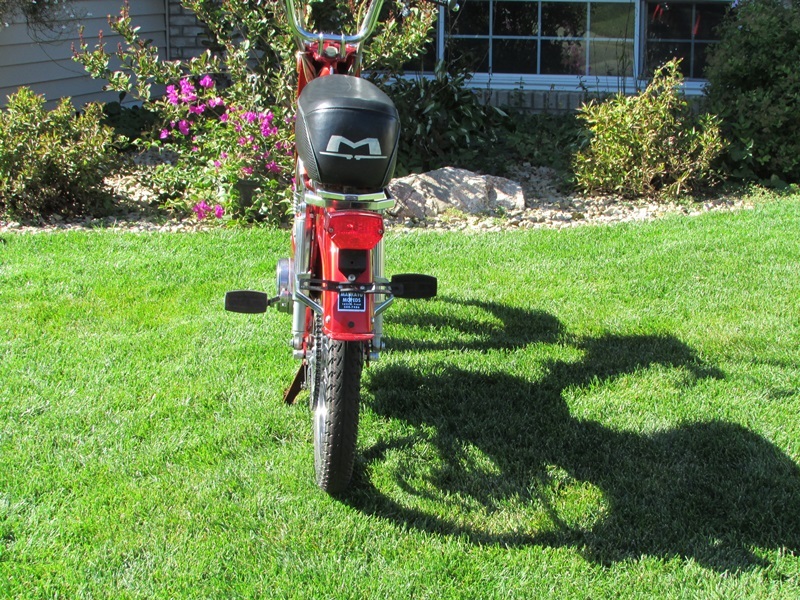 The moped was covered and stored in a dry and heated basement for the next 30 years. Through a friend of the family, we were able to acquire it and return it to its former glory! This bike was never titled or registered, so it will need some paperwork completed for your local DMV. 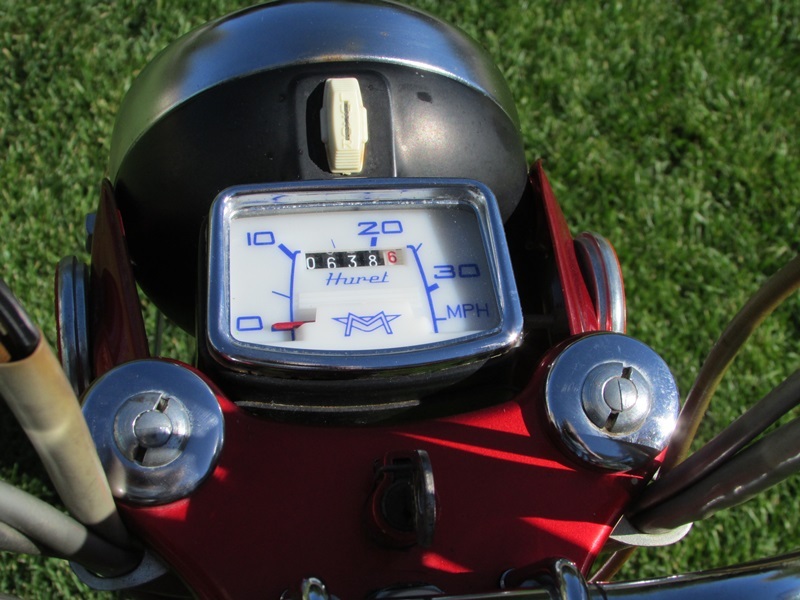 In Minnesota, mopeds that have not been registered or transferred within the last 7 years qualify for new titles, but do your own research; each state has different requirements and regulations. 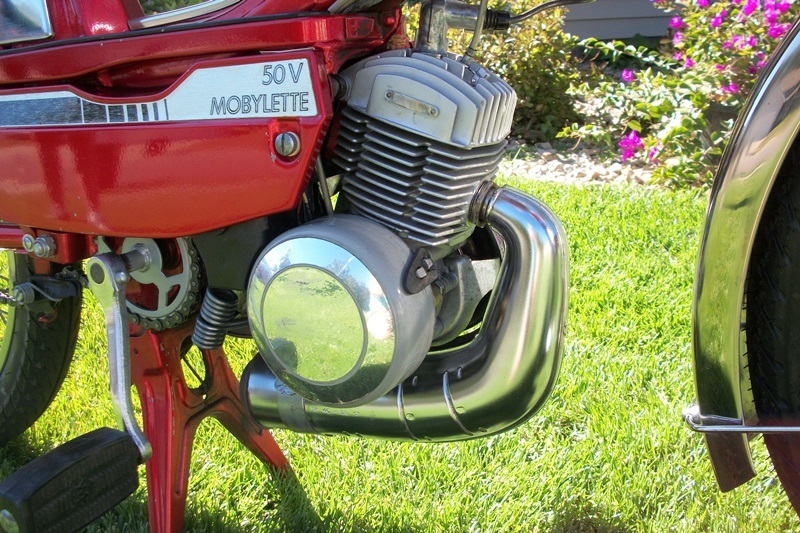 For only $1295.00 you get an excellent Motobecane 50V, free delivery (local only), a 30 day warranty and endless smiles. We can also assist in shipping this bike just about anywhere.